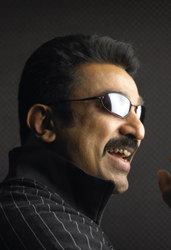 Tamil movies :Vettaiyadu : Kamal on fire. The crew of Vettaiyadu villaiyadu was in the US for about two months. After completing the schedule there, the next schedule has started in Chennai. For patchwork scenes of some of the sections shot in the US, a huge set has been erected in Prasad Studios. Shooting in the set will be held on Saturday and Kamal will perform a dare devil action sequence surrounded by fire.